App Builder Appy Pie, April 24, 2018: We all know by now that for practically a business of any size, scale, or potential, it is imperative that they have a website of their own. The advantages of having a website for your own business have been clearly explained in one of our posts earlier, and now we shall delve deeper into this concept and discuss what it truly means for a small business owner to actually build their own website for business. 2.1. Does my company need a website? 2.2. What kind of money does it take? 2.3. I have a social media profile & a social media page. Do I still need a website? 2.4. I do not sell online. Why do I need a website? 2.5. I am not a computer whiz. How would I be able to handle a website & complications related to it? 2.6. Most of my consumers prefer the personal touch & do not use computers. Does building a website make any sense? 2.7. My budget is all locked up in other advertising activities. How can I afford it? 2.8. Would the website reach out to “our kind” of clientele? 2.9. I have a close friend who makes websites and I promised they could do it for me. 2.10. Which website builder is the best for SEO? 2.11. I am not sure how to buy a domain name. Should I use a website builder for it? 2.12. Apart from choosing a website builder, what other things must I take under consideration? 2.13. Do I need to have design & coding skills if I want to build my own website? 2.14. Do I need to hire a web designer or developer? 4. How to make a Small Business Website in 5 simple steps? To someone who is not a practitioner or professional in the field of technology, particularly the digital arena, building a website might seem like a humungous task with complex terms, jargons, and processes that might all be difficult to understand. The small business owners hesitate to even explore this arena because, they might have a lot of questions but not know who to pose them to. These questions, no matter how small they might seem to them, are very important and must be addressed and answered timely. Anybody who has a business must have a website and if you are one of those who are dabbling with the concept but are being held back simply because you do not know who to pose your questions to, you landed on the right page. Appy Pie has collated its experience of interacting with millions of clients and listed the questions most of the small business owners ask when they are contemplating or starting out to build their own business website. Take a look and who knows all your questions might be answered right here, right now! This is a tricky question and the answer to it needs to have a dedicated post to itself. Let’s leave that to another day but engage in a holistic understanding of whether your business needs a website of its own or not. Quite clearly, the answer to this question may be “Yes” or “No” depending on a lot many factors and we can even help you figure it out. A hint however, is that in this day and age, almost all kinds of businesses need a website to reach greater heights of success. In general, having a website for your company can become an interesting and extremely efficient marketing tool, making it highly cost effective and packing in quite a few beneficial features with need for only a little investment. Having a good website for your business can help you establish your presence on the web, help you increase your credibility & incite a faith among your prospective & existing clients, get your site listed on search engines while adding a point of contact for the customers to get in touch with you. Not only is a website going to be a mode to market yourself, you can even sell through your website, receiving orders out of business hours as well, offering round the clock services to your clients. Developing your own website costs money, of course, but you must not forget that there is the investment of time and energy as well. There are three basic aspects in building your website that are going to cost you money – developing the site, hosting the site, and registering the domain name for it. Developing a website includes the actual building of the website, taking care of the design elements, putting in the graphics, web content, links, codes, and everything else that needs to be put together. This is where you ensure that the webpages you designed, not just look good but offer optimum information for a consumer visiting the website. Of the three aspects listed above, this one is probably the highest in terms of cost and can vary from anywhere between $500 and $2000. Interestingly, this cost is comparable to what you would spend if you were to insert a color ad in the local newspaper, let’s say once or twice a year, depending on the circulation. With a website however, you have the distinct advantage of being available for communication at any point of time, instead of disappearing within a day! Hosting your website would mean that your website would be put on a large server so that it can be accessed by people surfing the internet. The two main factors determining the hosting costs are – the website functionality and the hosting provider and on an average these costs lie somewhere between $20 to $50 a month. Registering a domain name would reserve a unique web address for your website so that your users can find you – for example www.appypie.com is our web address and that is how our customers find us. Registration is done through a public registry service costing you $35 in general. Social media has taken the digital world by a storm and has managed to overtake every aspect of it. Everyone is on the social network or is everyone? It is a great idea to have a strong social media presence, but is that all you need? Even though people are quite active on the social media, the maximum searches for any product or service requirements happen on the web search engines. It is only when you have a website, that you would be able to establish your presence there. Social media pages or profiles may be effective for bigger names in the industry who have a loyal base already and especially helpful when they want to spread the word among the existing customers about any special event, deal, discount, sale, or offers, however when it comes to acquiring new customers, building a website assumes a whole lot more importance. Additionally, anyone can have a social media page but having your own website lends you a credibility inciting a kind of trust among your prospective customers. While people might be discovering your business on social media, there would always be some people who would consider getting exposed to business related or sponsored content as an intrusion. The visitors to your website or those coming across the website on the web are less likely to feel this way and are probably looking for exactly what you are offering. Even if you are not selling online, you might be selling something that people are looking for, in particular. You might be selling a particular brand, or just organic products, or something that is unique and exclusive. When you have a website, you can direct the people who are looking just for that, right into your store. There might be a lot of people, even in your area, who might not know you stock a particular brand of pet food, your website would help them find you and direct them to you. If, however, you do not have a website, it is your competitors these people would end up buying from, ruling you completely out of the picture. It’s ok to not be a computer geek (or genius) in order to own a website. If you know how to use your email, or someone in your company does, you can hire someone else to do the rest for you! The existing customers may not be using computers for now, and you might feel that building a website will not be received well by them. However, there is a larger number of prospective customers who do use the internet and computers, who are not able to even find you! If you believe that the existing customers will not use your website, consider your website as tool to market your company to new people. The existing customers would still receive that personal touch from you irrespective of whether you have a website or not. Did you know that about 65% of the population in the rural areas use their computers once a week, and 85% do so in the urban areas? However, the statistic that is more interesting is that the fastest growing age group getting computer literate is between the ages of 50 to 75 years! This is clearly indicative that your customers are changing too! You would need to stay abreast of these changes if you are to sustain and flourish in your business. It is important to acknowledge that your website is not an advertising activity and the money you set aside for advertising should not account for your investment in building your website. A website would be your marketing and communication tool that stays with you, not an ad that you buy for a limited time period and lose it once the time expires. Your website is an asset for you, much like your telephone, where you make a one-time payment for the product and then only pay for its maintenance. While it helps you service your existing clientele, it majorly helps you expand your audience. You can advertise your web address on all the other promotional, marketing, or advertising material that you circulate and earn a stamp of credibility. It is common for some of the best small business owners to promote their services or products only to the kind of customers they think would be interested in buying from them. This is an elementary error though! The internet does not target just one kind of audience which means whether you are a real estate agent or a specialty shop owner, you are going to find your audience on the internet, because, well everyone is using it! Instead of simply targeting a narrow group of people, getting on the internet gives you the opportunity of being chosen by anyone who is looking for what you have on offer. While a website does seem impersonal to begin with, and that’s OK. It is simply because people searching for information on the internet are looking for just that – information, not a relationship. Once they have found you, it is up to you, how you forge a relationship with them. Is this friend of yours a qualified web developer? If so, good! However, make sure that you convey a sense of urgency when you award them the project, so that it reaches completion in good time. The quality & speed of service. The web developer you hire would determine the web experience you offer to your clients. Think beyond the visual appeal and lucrative content pieces on the website. While this is important the real deal consists of the codes and tags behind your website which determine your placement on the search engine, increase the speed of loading the pages, making your website user friendly. There’s no point in having a beautiful website, if no one can find it! The website builder you used to build your website might have very little impact on your search engine rankings. The ranking of your website is dependent majorly on how authoritative your website is. For example, if you have a website that is as resourceful and content intensive as Wikipedia, you would be awarded with a high ranking too! If you have sloppy content, you would not feature on the first page, irrespective of the website builder you have chosen. It is definitely easier to connect your domain name to your website when you buy it through a website builder, and mostly it just takes a few clicks to get there. However, if you bought your domain name from domain name registrar, it would take a little more work to connect them to your website builder, but it is a one-time effort. If, however, you were to change your website builders, it is easier to manage the process when the domain name is registered with a domain name registrar. All you have to do is disconnect your domain name from your old website and connect it to the new one. If your domain name was bought through website builders, you would have to migrate it out before you can transfer, either to a new website builder or a domain name registrar which costs between $10 to $15 and is a whole new process that you need to handle. Choosing the right website builder is only the beginning! Once you have researched and tested out different website builders, you still have a lot many more things to deal with. Some if the things that you must consider at this stage include choosing the right template for your website, creating page layouts that look and feel professional, choosing & editing the images you are going to use on your website, using colors to your advantage and more. Not at all! There are ample drag and drop website builders, where you can build a great looking website without having to use any design or coding skills. These website builders provide you with website templates that look attractive and professional and yo don’t even have to get into designing them from scratch. This is a matter of personal choice and requirements. If you are using a drag and drop website builder, you can build your own website, however if you are using an advanced website builder like WordPress then you would need someone with coding skills to build it. The list of questions above and the answers we provided can go a long way in allaying your fears and break away your inhibitions regarding your need for building a website for your business. The next step actually consists of preparing yourself for the process. How do you know what you need before you go and meet the professionals? Do you need professionals? In fact, how do you prepare yourself and what are the things that you need to keep under consideration while building your own website for business. If you are like most other people, you probably do not have the technical skills needed to build your own website. However, that doesn’t mean you cannot build one at all! There are plenty of professionals who you can pay to get the job done. Sometimes the cost and time factors associated with developing a business website might keep some of the small business owners from getting their own website. But, in most cases, those who do start out building their websites with professionals fail to have a successful website, simply because they didn’t really know what they were getting into. Like everything else you do for your business, any project well begun is half done. Building your own website is no exception and is a critical project irrespective of whether you build it yourself, hire a professional, or opt for a drag & drop website builder. Hence, Appy Pie has put together a list of things that must be taken into consideration before you even begin building your app. What is it that you want to do? A simple enough question at the first glance, but once you attempt to answer it, you would realize its significance. This is one of the biggest concerns, as most of the people who are planning to build a website for their business are not really clear about what it is that they want to do. It is due to this lack of clarity that quite a few of the small business owners end up creating or setting up a website that is practically unsearchable, while they might actually want to create a website that is equipped to receive secure payments, or make reservations etc. Once you have got all that figured out, it is time you sat down to come up with a strategy that has the potential to become the foundation of everything else that follows. The vague ideas would not take you far, hence it is of absolute importance that you sit down, carve a timeslot out, and put your strategy or map down on a tangible medium. This step must be done before you do anything else. In order to make a successful website, it should all begin with a clear idea about who you are, what your passions are, and the core philosophy, values, and objective of your business. When you have this clarity, it will reflect clearly on your website too and incite a confidence among the visitors. The users or the customers are who you are building the website for, and hence it is important that you keep them in mind even before you begin your work on your website. In order for your website to gain some measure of success with your website you need to appeal to the needs of these target users. There are a number of analytics tools available today that can help you figure all this out with the valuable data that they can gather for you. Now that you know your users and have a strategy and clear idea about what you want to do with your website, it is time to give a thought to the kind of journey you would want your customers to go through with your website. Your homepage is going to be the first impression of your website on your customers, hence it should be the most important aspect that you need to pay attention to. Not only should this page appeal to the visitors, but also convey the core philosophy of your business. Create a vision of how you would want your customers to move through your website and what kind of impact each of these turns are going to make on them. Make sure that at as the customers move from one page to another, they receive a clear message about what kind of company you are and the kind of products you make. Make sure that you keep an eye on the kind of pages should be added to make navigation through the website easy and smooth for the users. It should not be an effort for the customers to end up on the page where they are going to check out and pay for the products they like or the services they need from you. Make sure that the content you plan engages and retains your customers and makes them want to interact with the website a little more. The user experience that you offer through your website is critical and to make your website a delight to experience, you must begin mapping the pages out. By this time, you must have a general idea about the pages that your website must have. It is time now to chalk them out on board or paper so that you get a tangible proof of the idea that you want to implement. Whether you use a software like Paint or sketch it out by hand, this part of the process will help you gain a bird’s eye view of what your site must have. For those who are doing it for the first time, or those who do not know where to begin, it is a great idea to begin with the main categories that you would want to include in your top menu. Following this, begin mapping out all the pages that need to be included in each of the section of your website. Even as you are creating a sitemap for your website pay attention to the user experience that you are going to offer to your customers and the ease with which they can find what they are looking for. When it comes to creating the wireframes for the website you are going to build, chances are that you, like most other people are going to face some measure of trouble. People struggle with this step mostly because they forget one basic but important thing i.e. to keep it simple. This means that one of the best and most important things to do is to assign just one objective to each page on your website. Taking care of this one aspect would make sure that your users do not get confused at any point while they are navigating through your website. A customer who is confused would definitely not buy from you. The wireframes of your websites must be created in such a way that the users can easily find what they need as they move through the website with an intent to buy. Design is an important aspect of your website, because it is only if your design is appealing that people are going to pay it any attention. However, more often than not people end up laying too much emphasis on design, which can have the opposite effect and end up holding them back! The idea is quite simple here – people are instinctively drawn to things that are visually appealing. Hence, the design goal should be to make the design look appealing enough for the customers to want to visit it and stay there for as long as possible. In addition to this, you must also ensure that the design of your website is consistent with your branding and the core philosophy that you are trying to communicate through your website. The content that you put up on your website is not just responsible for bringing in more people but will also keep them there for longer by engaging them and encouraging them to interact with it. The content you design or create for your website is crucial when you are trying to get people to buy more from you, and when you are trying to rank higher on leading search engines like Google. Good quality content incites in your customers a measure of faith and establishes you and your website as an authoritative entity in the market. The content that you are churning out must be developed keeping in mind the users that you are planning to target and churn out a good mix of text, images, and video content. Here too you need to maintain the consistency in communicating the core philosophy and message of your brand and not stray away from it. Developing a quality website is going to need investment of time and money. This we are all aware of, however what we forget is that there are a lot of factors that might come in picture and cause an inflation. Though not all these factors may be under your control, but if you plan ahead of time, there are some things that you can do to ensure that you and the website developers you hired adhere to the deadlines you agreed to. The content that has to go on the website needs to be ready before you go hire a developer. If you are still collating all the images, text, or any other content that needs to go on the website, while the developers are working, you are going to hold them up in their job. In the matter of costs attached to building a website, you might have begun with an estimate, but as you go with the project, it is quite common that you would add some pages or features that might not have been there to begin with. You can take care of this issue by conducting a deep research of your competitors, and other websites that you may have liked while exploring options. Hence when you talk to the developer and chalk out the project you can get near accurate estimate for exactly what you need in your website. Your wife’s college friend’s daughter might develop your website for a mere $100, but there is no guarantee that you or anyone else for that matter are going to like what you get. On the other hand, there are many companies that would charge you many thousand dollars and still only offer you a basic website with an emphasis only on the stylistic elements. It is true that if you want a good website, you would have to spend a little more, but it is important that you know what it is that you are paying for. A stylized website will look great of course, but if it is full of bugs, crashes often, or is not discoverable by the right audience, what’s the point? The domain name of your website is the address which would get people to your website. Your domain name is the name of your website, and you have to pay a certain fee to register it & procure the right to use the name. However, just because you registered a domain name does not mean that you will get a website. The domain name should be short, easy, and memorable, while adhering to the brand philosophy. The name of your business name may be amazing, but there is no guarantee that someone, somewhere hasn’t thought of it already! You can’t possibly come up with a new color on the spectrum, nor can you invent a new alphabet. Hence instead of wasting your time coming up with a name for your business that is clever and can be aligned with your line of offerings (so that you are automatically searchable), you should spend time in brainstorming and create word clouds while thinking creatively while trying to find something is unique, interesting, memorable, and easy to pronounce! If, however, you do find the domain name that you liked, make sure that you register it quickly. If you abandon it then and come back later, you might either find it gone, or even find that the rates have increased! Social media is definitely more than a buzzword today. The world is alive on the social media, people are conducting their business through it, social media enthusiasts are looking for recommendations and searching for products on the leading social media channels as well. Whether it is Facebook, Instagram, Twitter, YouTube, or Pinterest, you will find a great marketing platform for your website. Hence, when you are building your website, you need to ensure that the content from your website is shareable on all leading social media channels. Any good website builder or professional developers that you might hire would allow for this provision. You can then use any one of the good analytic tools that will help you determine which ones work better for generation of traffic to your website. The concern for security is at the forefront, especially with the latest talks about data leaks and breaches. The websites too need to take this concern into consideration and so should you. As the technology is advancing, the number of malwares, viruses, and other malicious apps is increasing as well. These can compromise the integrity of your website as well. In addition to this, the threat of hackers also plagues every player in the digital arena. This issue gains considerably more importance when it comes to those websites that allow online payments. It is due to the fact that these websites need to handle sensitive information like personal details, credit card information, and other such details, where the stakes are high naturally. You, as a website owner must begin planning for these threats by procuring SSL certificates right at the beginning and continuing to conduct timely and frequent security checks. You are preparing to build a website and have a fabulous strategy, amazing design, flawless interface, engaging content and lightning speed of loading. That’s all good, but if you cannot expose the right audience to it, there really isn’t much point to it all. All those good things will simply stay hidden and thus bring you nothing in return for all that effort and investment. This is where SEO or Search Engine Optimization comes into significance. When employed suitably, SEO makes sure that your website is exposed to the right kind of audience, which means the users you are probably targeting. It is for this reason that the code that goes into building your website is clean and SEO friendly. Though email marketing can seem to be one of those archaic methods of marketing, but the power of email marketing is paramount. You can not only reach your customers on a personal level but may also get more attention than simply advertising on every random platform. Procuring these email addresses though might turn out to be a little bit of a challenge. Offering discounts or asking them to subscribe to your updates can help you procure just the right kind of subscribers who would actually be interested in your products and other offerings. Depending on how well or how bad the website works, the visitors are going to form an opinion about you, your website, and your brand. Hence, the systems that you lay down for your website should form a critical part of the strategy you apply to build your website. Spend some time looking at different options when you are deciding which shopping cart to use, the auto-responder on email, and the marketing systems that you are going to use. Just because your developer says it is the best website to be made ever, you do not have to believe it. Your parents might be super-proud of you, your girlfriend might be going gaga about the website and your friends might be thumping your back. Still not enough! Get deeper into it and test out the website to shake off all kinds of bugs that might be infesting it! It is wise to know what problems your customers might face, before you make any efforts in driving traffic to it. Imagine spending money, time, and other resources in sending out targeted push notifications and employing other tools in order to drive relevant user traffic to your website, and then finding out that they are simply bouncing away, because they are unhappy with the systems, or find the navigation confusing, or worse can’t even reach the checkout page. Hence before you hand out your website development project to a developer or website builder make sure that you have a plan to carry out sufficient bug testing. Failing to account for this aspect can render everything you did for your website completely redundant. How long do you think your users are going to wait if your website is super slow? Not long right? There are a hundred other websites at least that can take your place. Finding a good place for web hosting is of absolute importance and can not be compensated for, by anything else. If you do not choose well in this regard and have poor web hosting, even your ranking on various search engines is going to be majorly affected. While you plan to test your website out for bugs, you must also incorporate a plan to check for any hosting issues and resolve them prior to any official date of release that you might have set out for your website. Once you have gone through all the points above and have incorporated a plan for your website that makes sure that these concerns are addressed, you are ready to go ahead and build your own website. In this day and age, you can’t really afford to not have a website. However, it is only natural that you would have this misconception that it is extremely complicated to build your own business website. Today, it is easier that you think. You can develop your own website, hire a developer, or opt for a website builder platform. No matter what you choose to do, you should be aware of the process of building your own small business website so that you are clued in to the progress and structure of your website and not be entirely dependent on the people you hire. It all begins with the name that you decide to give to your business and the website that you are building for it. Like www.appypie.com, you are probably looking for a website in your business name. so, the first thing you need to do is whether your business name is available. The easiest way to find that out is going to the domain registration sites and search for availability of your desired domain name. if your chosen domain name is available, great! But chances are usually thin for that to happen. So, you didn’t find the domain name that you had your heart set on, what do you do? You can make some adjustments to the business name and keep trying some relevant combinations. If one of these names that you try out are available in the .com version, go ahead and buy it. If, however you do not get it, try some combinations or suffixes before resigning and using a .net, .org, or .info. The consumers are wired to instinctively go for .com addresses, and in that case you would simply lose out on valuable traffic & even customers. In the unfortunate circumstance that your preferred business name is unavailable, there are a few tips that you can keep in mind while looking for an alternate name for the business. These tips can help you come up with a suitable domain name for you while making sure that you are memorable and discoverable. The domain name that you choose for your business is not simply a link you are going to share with your customers, it is of great importance for the search engines as well. When you are trying out combination of words to come up with a domain name for your business, you can think about including words that you think your target customer would search for, when they are looking for a business like yours. For example, if you were to choose a name like Super USA, there is not much that you convey with the name. in place of that consider using a name like Super Cleaners USA and the chances of the right people finding you on their next Google search would increase considerably. The domain name that you finally choose for your business should not be a tongue twister, it should in fact be something that is easy to say and easy to remember. This is simply because if people can’t remember you, they are not going to be able to buy from you either! It is therefore important that you must keep your name as short as possible and avoid any punctuations, dashes or any other special characters. Remember that if someone were to hear your business name or the name of your website somewhere, they should be able to find your domain with a single search. This is actually an interesting way to find yourself a unique URL and benefit from it too. If you are not able to find any other option for yourself it is a good idea to add your city name or the name of your area to the domain name. For example, if your company is called Star Cleaners and it is based out of Milwaukee, and if all else fails you can try getting a domain name like www.starcleanersmilwaukee.com. This would not only get you a unique domain name, but also help your website appear on the Google searches because customers are likely to search for city specific services or at least mention the name of the city in their search. Now that you have chosen a domain name for your business and have registered the domain name, it’s time to move ahead and think about where you would like to host your website. In simple words it is the host’s job to store your website and then transmit the same to your visitors. If this gets you excited, you can even get a little deeper into the world of hosting. It is prudent that you do your own research as well. However, we have two great options for you and would like you to have all the facts laid out in front of you! WordPress is a great option for the tech enthusiasts who would want to access a huge number of features and want to incorporate a lot of functionality in it. Bluehost has a horde of pocket friendly hosting plans that come with a free WordPress website and what’s even more interesting that this comes with a domain and an email address at a low budget. This is a great option as you receive everything in one place, from one platform and have to deal with just the one entity. You save up on time, you save up on money, and you get a whole lot of features and functionality packed in one neat program. You must bear in mind one thing that WordPress might not be the best choice for a novice and is suitable for people who have reached at least intermediate level of proficiency. Though you would not have to learn programming or coding to use it, you would definitely have to acquaint yourself with their backend menu. The platform has a more traditional approach to website building which involves the builders to deal with the whole building process by themselves and in detail. Weebly is a great option for those small business owners who do not have the technical prowess but have pockets deep enough to pay for the services. Weebly is essentially a website builder, the new age option that has a brilliant Drag & Drop interface that makes designing a website simple and easy! Wix.com is one of those platforms that have managed to strike a balance between being convenient and being flexible. This is a great website builder platform as it gives you guidance and help with design through templates and themes. You can also use the Wix ADI, an Artificial Intelligence design software which asks what you like and then build a customer website for you. Squarespace is known for their stunning minimalistic designs for websites which are sure to get you the attention from your consumers that you are hoping for. Ideal for the websites that bank on the visuals and aesthetics, Squarespace is a fabulous option for those who are looking for the ability to customize their websites to a great extent. One important thing to remember is that the option that you choose here would depend heavily on what you are planning to do with the website. Hence, before you jump into it, make sure that you have considered the whole thing in depth and only choose once you have all the facts laid out. Sometimes it is a good idea to reach out to a professional who can, not only guide you in taking the decision, but also take on the project if need be. Two of the major steps are done and dusted, you have a registered domain name and have decided where you are going to host it, now comes the fun part! What is it that you want your website to say. Frankly, if you have reached here, you have a clear idea by now about what you want to do with your website. It is due to the lack of content that most of the small businesses stay away from building a website. The great part about a business website is that it does not really have to say much! The best of the business websites that garner success keep it simple, have minimum amount of text, and have just the one function assigned to each page, e.g. Contact Us, Book Now, Send Query etc. Instead of going overboard, out of the box, or do something new, it might be a good idea to play it safe with your first attempt at least when you are a small business. Most of the business websites tend to follow a standard format with at least these four most essential pages on their website. Study this list, and as a first step simply work out the kind of text, images, videos, or any other content that you are going to put on each page. This is not the time yet to think about the design or formatting of the page. This is going to be your first impression on anyone who visits your website and as they say, first impressions matter the most! You would want this page to clearly display the name of your business, where the business is located, and should have a subtle pitch for your business. This pitch can have a couple of simply worded lines that talk about how your product or company is unique and why should they pick you over your competitors. This page would have all the details about all your products, services, or any other offerings that you might have for your target customers. The products or the services here must be listed out with details and descriptions. The description for each of them must be from anywhere between one to five sentences describing their function while also mentioning their prices. This is the page that can help you start a relationship with the customers. Tell your story, the story of your company, its background, its evolution, the awards and accolades it has received, a list of organizational memberships, and more. Let this page also have reviews and testimonials from satisfied customers, and if you have some clients who are worth flaunting about, you must flaunt away. Doing this takes you several notches higher on the scale of credibility & trustworthiness. This page is one of the most important aspects of your business website. The page must have all your demographics including the postal address of your establishment, email address, phone numbers, business hours, links for social media pages or profiles (Facebook, Twitter, etc.) If you can, adding a step by step navigation with Google Map or different ways to get to your place of business is a great idea. It might do you well to study the websites of your competitors to have an idea what kind of elements you can add to make your website a success. Majority of the customers today browse the internet or look for products on their mobiles or smartphones. Hence it is imperative that you develop a mobile friendly website. The new generation drag & drop website builders today create mobile friendly websites for your customers automatically. Termed as “responsive” themes, these websites are intuitive in detecting the type of device you are using to browse. Following this they transform the content automatically and offer you an optimal experience. So, you have planned now for a responsive website, it is still important that you make some more adjustments to it and try and remove any redundant features or details that might be there on the theme you chose. On your mobile website, all your focus should solely be on your call to action. It could be anything from getting them to call you, submit contact forms, joining mailing lists, or book any orders online. Your logo is one of the most important parts of your brand identity and it should hold a place of prominence on your website. The different aspects of the logo including the colors, font, and its design sensibility will have a lot of impact on the way your website is going to look like. This is simply because you would want a cohesive and consistent flow between the two. The two must belong together or there would be visual clashes. Your company might already have a logo, and in that case your job is done! All you have to now do is get a high-resolution version of it to be used on the website. There are a number of logo design software available for you to try your hand at it. If you have some skill in the field, even better! This might be a little expensive, but your logo would become your identity and it is a one-time investment or at least for a long time to come. If you feel stuck with the DIY options, maybe hiring a designer to do it for you is a better idea. You have come quite far in the process of building your own website, you have all the elements, the content, the hosts, the domain name, and any other ingredient that might have to go into your website. Now, it is time to get into the design and put all these pieces together into a website that looks amazing! This is a world of instant gratification, and strong opinions. This is supported by a research that states that it is only in the first 3 seconds that a customer makes the decision of staying on or leaving your website. 3 seconds! That’s all you have! The design of your website would be the first impression your consumer would have of you, and it is important that you make a good one! Listed below are few tips that would help you design a website that your consumers would love to come back to and interact with. The people who are landing up on your website are here for information about you, your business, the products or services you are offering, ways to buy these products or services, and how to reach you in case they have a query. When your website is designed in a manner that this journey is intuitive the consumers or the visitors are more likely hang around interacting with your website. If, however they have to struggle to find things and are confused by the design, chances are they will get annoyed and simply leave, to never return. When you implement buttons that are self-explanatory, you attract the consumer’s attention with ease. This helps the consumer complete the desired action without having to scroll up and down the page trying to complete the action on your website. Like we said earlier, this is an era of instant gratification, and no one wants to wait for anything, especially not for a website to load. If your website is taking even a fraction of second longer than the others to load, they are simply going to go that way. So, make sure that your website hosting provider has fast load times. A concept that will never grow old. Less definitely is more. A design that has too much will create confusion, unrest, & disquiet, as opposed to a minimalistic design that attracts the consumers’ attention to where it is required. Make sure that there are some white spaces and that they are used well. While this list of steps to take you through the process of building your own business website, it does not mean that you have found the path to holy grail. There is still a lot that you would have to pay attention to and take care of a whole lot of issues that you might not even know might come up. Having worked in the field for a long time now, Appy Pie has seen many small business owners end up having some of the really bad websites, which means they have a shoddy online presence. We are sure, like you, they too did not intend for that to happen, but it is due to some of the common mistakes that small businesses keep making that it happens. We have talked earlier about the importance of a well-designed, responsive business website and the way in which it can impact your conversion rates, client retention, discoverability, and the returns that you get, and this impact is irrespective of your location or the particular industry that you are engaged in. Still a great number of small business rush up the development process without sparing too much of thought for their online presence & reputation. This happens largely due to their misplaced belief that they don’t really need a well-designed business website to be an element of their marketing strategy and only consider it something that they need to do just so that they look like they are in with the modern times. This unfortunate belief system stands to bring nothing of much benefit for the business. When you rush your way through building your business website you would most probably make a whole lot of mistakes, and most of these mistakes are going to malign your reputation and cost you business. Here is a list of some of the most common mistakes that small businesses must avoid while building their websites. This is one of the gravest errors that you can make while building a business website, but also one of the most common ones. Having a mobile-friendly website, in fact is one of the requirements laid down by Google. In this day and age, everyone is going mobile and making use of their smartphones or other mobile devices to reach out, search for products or services, and do almost everything under the sun. If the consumers find your website giving them a grief on their phones, they are simply going to move on to your competitor’s mobile friendly website and you would lose out on a lot of business. Hence, having a responsive website is extremely important for your small business. If you are unsure whether your website is mobile-friendly or not, you can easily check it on online tools available to test their responsiveness on a variety of mobile devices. If the website you make is mobile friendly, you definitely reach a larger audience who is dependent on their mobile devices for most of their daily activities, including searching for the product that you are providing. However, if you come across any concerns or issues in your website, you must strive to rectify them at the earliest. This is something that is ignored by many, without realizing the extent of impact it is going to have on their reputation. When you have not proofread the content you put out there on your website, there are bound to be some errors, spellings or grammar related. These errors tell your consumers one of the two things, one that you do not care and did not put much of an effort into building the website or even your website and two that you are not so reliable, authentic, or professional. This can lead to you losing out on many of the visitors who land on your website but are discouraged by shoddy content. If you are one of the small business owners who write their own content and then run it through a spell check, before putting it online, you are putting your faith too much on the accuracy of a spell-checker. Spell checkers are notorious for missing out on things and relying solely on them, might not be worth the risk of sub-standard content finding its way on to your business website. You would want all the content you put on your website is not only well-written, is accurate, and is free of any spelling or grammatical errors. For this to happen, you must explore the idea of getting a professional proofreader or editor to take a look at the entire content of the website. When you have content that is not just of exceptional quality but also has no spelling or grammatical errors, you are bound to cast a favorable impression on all the people who are visiting your website. It is not enough to simply develop quality content and put it up on your website. Having content that has lost its relevance today or is outdated, is a sure-shot way to lose out on the brand’s reputation & credibility. A website that intends to build a reputation for being great in quality and trustworthy, would need to have the latest information, videos, ads, infographics etc. doing so would help your business website stay relevant and attain a higher rank in the search engines. This content churning would also include your blog posts, the white papers, case studies, & product listings. It is a mistake to let all the content simply lie there and avoid doing so by periodically evaluating all the content you have put up and analyze them for relevance & timeliness. Some of the content like latest statistics, numbers, images, information etc. can be updated quite easily. This also includes blog posts, white papers, product or service details and description. Apart from this, it is important that you keep an eye on your FAQ section and keep updating it in tune with the evolution of your products and services. There is some content that cannot be updated, which should either be deleted or archived so that your fresh content is more visible. You might be a creative soul, and that’s a great thing, but sometimes this creativity might be kind of misplaced. In an effort to be different from others and customize their online presence, some small businesses innovate in terms of their website navigation. This can be a really bad idea, and an expensive mistake too! In doing so, the navigation of the website gets hidden somewhere in the website as a design element, hence making it tough & frustrating for the website visitor to actually be able to find what they came looking for. The navigation of your website should be designed in such a manner that it is clean, simple, easy to understand, and is consistent all through the website so that people using the website can easily get to the information that they came looking for. When you hire a good professional for this job by choosing a clean & legible font, incorporating colors that are visible, are appealing, and are in tune with the brand’s philosophy, & values and of course the audience. Colors that would work for the young college goers would not be the same for the older professionals. Then there is the issue of ADA compliance which requires the website to be readable by color blind people as well. A good professional designer would be aware of these issues and would design a website that has excellent navigation built into it. This is as annoying as it can get! A visually cluttered website is the result of inexperience. The small business owners are often unsure of what kind of content should go on to the website. They might not be able to differentiate between the content that needs to go into the website and the content that is good for a blog, newsletter, emails, social media, and other such places. This is when they put everything under the sun directly on their homepage. This creates an unbelievable amount of visual clutter. It is important that you provide only what is absolutely required on your homepage, otherwise it can become overwhelming. The website must have the ‘constants’ displayed on it, including the mission & vision of the company, the location of your business, business hours, the services you offer, and a couple of fresh samples of content like a recent blog snippet or testimonials. In the unfortunate circumstances where you are not really sure, why your visitors are coming to your website, take a lesson from your competitors. Look at their websites and include only that information which they have added on their websites. This mistake is not just an annoyance, but a really grave one! The customers who have found their way on to your website, are expecting you to tell them what to do next. It has been proven time and again that the chances of successful conversions through a website are higher when there is a Call To Action (CTA) button or column placed on it. For the CTA button to be effective, it doesn’t necessarily have to do much with sales. At the initial stages of the customer’s conversion journey, it is a good idea to have a CTA that invites them to join the mailing list, or subscribe to your newsletter, or download brochure or whitepaper, and it can bring you greater results than simply telling them to buy what you are selling. This is simply because you might be ready to sell, the customer, however, is just getting to know you! This is a baffling one! Why would you, as a small business owner want to keep all your contact information hidden? Didn’t you just build the website so that you get more customers to come to you? How can they reach you, if you do not tell them where you are, and how to reach you? The new customers and most of the existing ones, come to your website when they want to confirm your business hours, your contact information, or to get in touch with you in any manner they see fit. If all this information is hidden, you are essentially making it impossible for them to reach you. If, instead they find the contact information for one of your competitors, you are probably going to lose them. Build a separate Contact Us page so that the customers can easily get in touch with you. It is quite common for the small businesses who have limited budgets to avoid hiring a professional for website development. When you cut corners here, you are setting yourself up for one of the most expensive mistakes ever. While it might be cheaper to simply go for someone you know who is good with the “internet & computer stuff”, you might end up having a website that does not really reach its potential or fulfil the core function. An amateur will give you a website and logo that looks amateurish, thus reducing your credibility among consumers. When you have an attractive website that is easy to use by the customers and has a professionally designed logo to assert a strong brand identity, the returns are going to reflect it too. Most of the small businesses make the mistake of starting with a belief that a website is something that you need to have. If you begin with a premise as shallow as that, the results are not going to be pretty. As a small business owner, sit down and identify the goals that you would like to accomplish with the help of this website you are developing. Set your goals clearly whether you want the website to communicate your message to the people who visit your website, whether you want people to subscribe for freebies, or have anything else in mind. Just go ahead and define these goals. There a million professionals in the business of website development and it is easy to get excited by the prospects and jump into things because you want to get the website up and running at the earliest. However, a professional who is good at it, and is honest would let you know the importance of having the content ready beforehand. The content that you want to put on your website would have a strong impact on the choice of graphics and other elements of the website design. Whether your home page would only have text, or a combination of text, images, and videos, would it have only visuals? All these decisions would determine the way the site is going to be designed and optimized. If you do not have these answers ready at the beginning, you might have to shell out heavy money for expensive coding & recoding process. There would be a million features listed with the developers that they can provide you and it would definitely excite you as well. But it would be great if you could rein in the excitement a little and take some time. Think about which features are really important for. Do you need a QR Code? 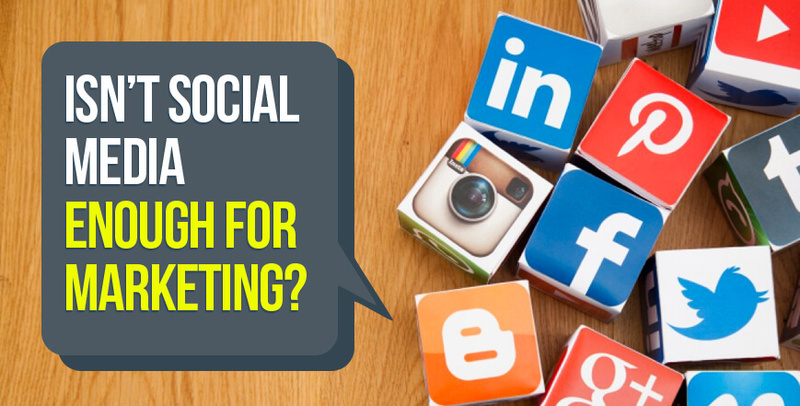 Do you need social media and Google AdWords? If the developers are charging you for getting you a QR code, strike it out immediately. They are available for free! You can set your own social media pages or get one of the kids to do it for you. There might be some features though that are instrumental, keep an eye out for them. All you have to do is weigh out which features do you really need for the website and for your business because they all come with a price tag attached to them. It is important to get traffic for your website and feature on the first page of Google with the help of SEO, but it is important that you get the right kind of traffic. If your business offers plumbing services, there is no point getting on the first page for keywords like “water distillery”. Even more important than that is conversions. You might be getting a huge amount of traffic but if you can’t convert them and they are simply bouncing away, you have a problem at your hand. Work out how you can pay more attention to conversions and increase your revenue. This is especially important for the businesses that run on referrals. Simply building a website and waiting for people to come only through SEO efforts is not going to be enough. Find ways in which you can promote your website through your network, through talks, at seminars or any other that you find appropriate and convenient.